With your shiny new online booking page you will benefit from an increased online presence, which is of course, just another great way to attract new customers. You will also be able to customize and brand your own booking page. Discover why branding is key to your success. That’s not all! 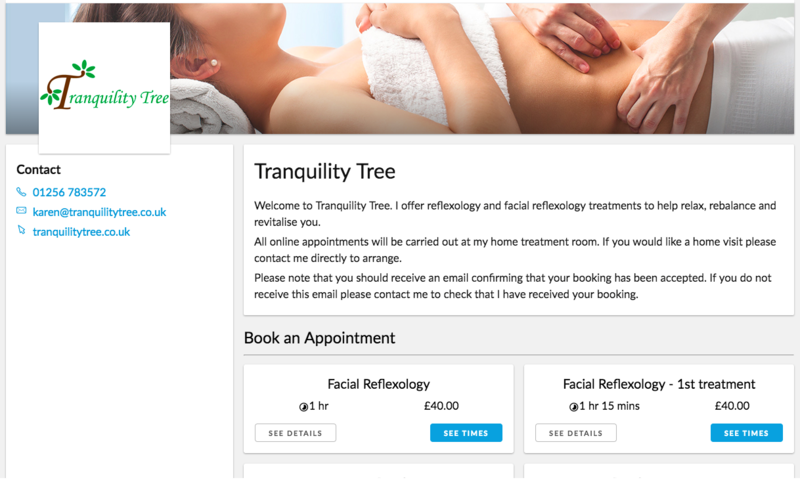 With our appointment scheduling software you can also seamlessly and easily add ‘Book Now’ buttons to your website if you have one. It goes without saying that an increase in new customers is going to equate to an increase in sales and revenue. Although, that’s not all. Booking software can work in the background helping you to manage all appointments, including SMS and email appointment reminders for your customers, thus reducing admin and saving you time, and as the old saying goes “time is money”. Appointment scheduling software can also integrate smoothly with many payment gateways including PayPal, Sage, and Stripe, helping you and your business to receive payments faster and at the point of booking if you wish. With online booking software your customers will find it incredibly easy to book and manage their own appointments. Customers will be able to schedule an appointment anytime (based on around your own availability) from anywhere, and thus enjoy a better user experience. Couple this with automated customer appointment reminders (both SMS and email), and 2-way chat, and it becomes clear that you can significantly improve the overall customer experience, which will typically result in repeat bookings. Great stuff! If you still needed a fourth reason, then well here it is. Businesses using our scheduling software have been able to reduce appointment no-shows by up to 90%. With the software tracking all upcoming appointments, and with email and SMS appointment reminders, you can rest assured that you’ll be able to minimize no-show rates, leaving you with more time to run your business, or whatever you do with your free time, we don’t judge here. The beauty of 10to8 is that we’re designed to scale with your business, which means that you can grow with us. We offer a range of pricing plans to suit your requirements, all of which include a free 30-day trial.